University of New Brunswick business students will this week be competing to solve real-world issues for a local company in the first undergraduate business case competition hosted by the Saint John campus. 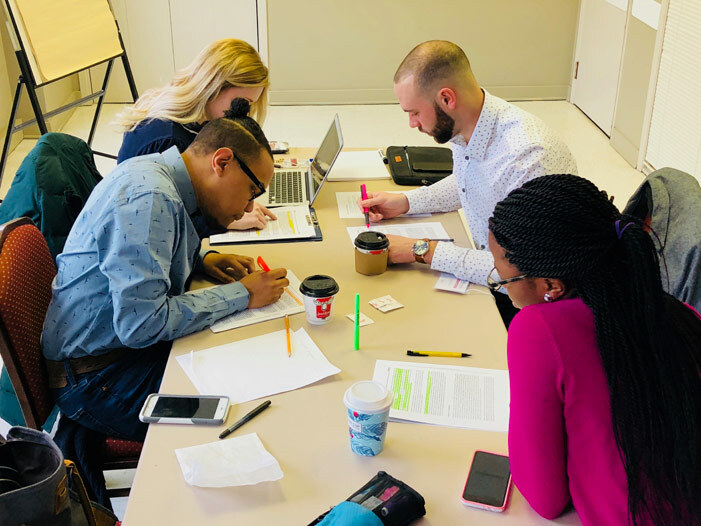 The Faculty of Business undergraduate competition on Friday and Saturday gives third and fourth-year business students a chance to work on cases shared with them by a local company. Teams don’t find details about the case until the morning of the competition and then they have only 26 hours – between Friday morning and Saturday afternoon – to work together in solving the case. With professors and masters of business administration students as mentors, each team will analyze information given to them, develop a feasible set of alternatives to the problem and set out the best course of action. “With this inaugural event, a new initiative for our undergraduate program, we want to showcase our students’ ability to solve business problems in a consulting role and give them experience with time constraints and pressures,” says event organizer Dr. Greg Fleet, associate dean of business. On Saturday afternoon, teams will present their solutions to a panel of expert judges, comprised of professors and entrepreneurs, who will choose which team has done the finest analysis and proposed the best solution to the problem. At the end of the competition, participants attend an awards banquet where the winning teams will be announced, with cash prizes of $1,250, $750 and $500 for the top three teams. “The business that is providing the case may choose to implement the solutions proposed by the teams; this gives students an excellent opportunity to get their foot in the door of local business,” says Dr. Fazley Siddiq, dean of business. The competition will be held at the UNB’s Grand Hall, 40 Charlotte St., starting at 9 a.m. on Friday, with award presentations at the Delta Hotels Saint John, Ballroom C, at noon on Saturday.